PubCrawl: Hosted by Kelly and S. Jae Jones, PubCrawl covers everything, from writing to social media to publishing promotion. I love how candid the hosts are, especially about life after publication. Their honesty is refreshing, as well as eye opening, and they’ve interviewed specific authors about certain books. Hearing about those authors’ inspiration is really interesting. My favorite recent episode was Author Life: Public vs. Private, which covered how to separate yourself from your public self. The Manuscript Academy: A sister podcast for MSWL (manuscript wish list), this podcast is fairly new but totally awesome. From agent interviews to behind-the-scenes in publishing houses, The Manuscript Academy covers any and all topics that can help you navigate your publishing journey. Recently, they even allowed listeners to submit first pages to be reviewed. Definitely check out this podcast—and MSWL—if you’re hunting for an agent, but I’d recommend this podcast to any writer at any point in their journey. These podcasts aren’t necessarily science fiction or fantasy, but I am OBSESSED with them. There’s nothing more inspiring than hearing spooky (and sometimes factual) tales from all over the world. Lore: Lore is my all-time favorite podcast. It explores the darker side of history, including the paranormal. But sometimes, reality is scarier than the paranormal. Trust me, this one is worth it. Aaron Mahnke, the host, is also an author. He also just signed a book deal with Penguin Random House! And he has a TV show releasing. Both will be based on this podcast, and I cannot wait. Morbid Curiosity: I just started listening to this podcast, and I cannot stop. Also, it’s just as it sounds. This podcast covers topics for the morbidly curious. Think serial killers or medieval torture devices or the wendigo. Anything really. My favorite part is the various topics—and how the host points listeners to places where they can get additional information. Myths & Legends: This is the first podcast I ever binge listened to. If you love Greek and Norse mythology, King Arthur, and tales from other cultures, this podcast is for you. My favorite episodes are the ones that cover stories from other cultures. (Though I’m in love with Greek mythology.) Each episode also includes a creature of the week. If you’re a podcast junkie like I am, I thought I’d cover a couple others I love. Truthfully, I mainly listen to true crime. My favorite is Generation Why, which is actually based out of KC where I am! Something I didn’t even know when I started listening to them. They cover famous (and often strange) criminal cases. I also love Court Junkie, Criminal, Serial, Detective, and The Vanished. (Told you I was a true crime junkie.) Court Junkie covers crazy court cases. Criminal is any topic dealing with crime. Serial is the famous podcast that covered the cases of Adnan Syed and Bowe Bergdahl. I preferred Adnan’s case, but they’re both interesting. Detective interviews a new detective every season, and The Vanished covers cases involving currently missing people. Lastly, I recommend The Guilty Feminist for everyone. Just as it sounds, The Guilty Feminist covers feminism but from a no-pressure standpoint. The hosts are comedians, and there are also guest comedians who come on to talk about certain topics. I find it both informative, safe, and fun. It’s a great podcast for anyone, and I recommend it to everyone I know all the time. Podcasts can help writers continue their research and inspiration while off the computer. I hope you love them as much as I do. P.S. BOOK BLOGGERS, you can now sign up for the July Lightning book blitz. Click the link for more info. (There’s also a book blitz for July Thunder.) You’ll receive exclusive excerpts, ARCS, and more. Another month has gone by, and now, two more books are out in the world! Yippee! Thank you for being a part of my life this July. Bad Bloods: November Rain and Bad Bloods: November Snow released across all platforms! Because of your reviews, we already went into a second print-run, AND I’ve been approved to write more Bad Bloods books. I’m currently working on the next installment now! And I can’t wait to debut the paperbacks of these Bad Bloods books at Penned Con in St. Louis this September. Also, the Bad Bloods Prequel is FREE on Wattpad. This month, the origins stories of Catelyn, Niki, and Blake released. If you want to see what the sequel might be like, Niki’s story shows a place in Eastern Vendona called the sunken bay, and a large portion of the next book will take place there. Next month, you’ll meet Steven and Ami, both from the Southern Flock. In other exciting news, my YA fantasy—Dreammare—made it into the top five of the Red Light / Green Light Competition! I am so happy I participated and met so many wonderful writers. One day, I hope I can pursue this manuscript! 1. 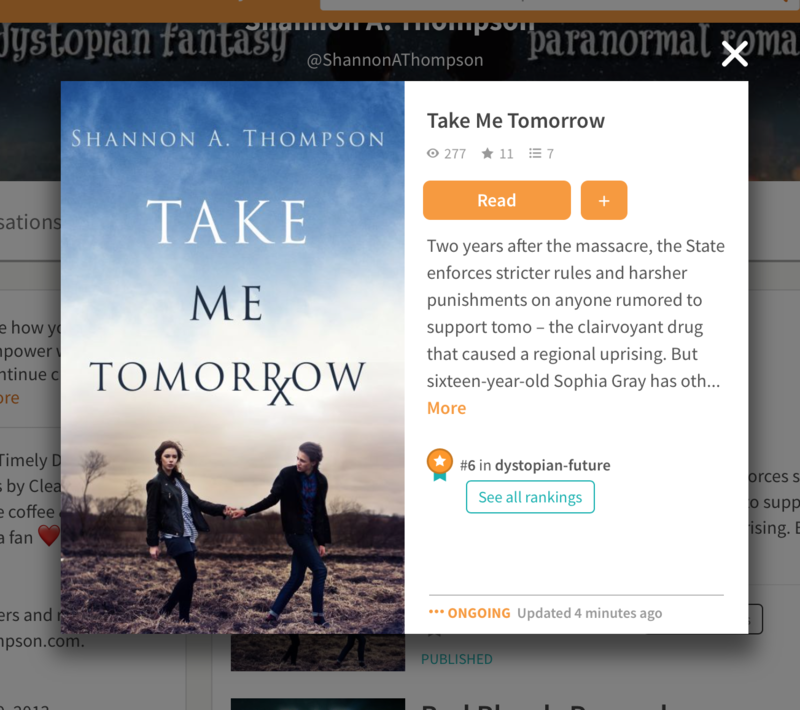 Content Disclosures for Novels: My publisher provides content disclosures on novels for readers who want to scan content before they read. This helps those with PTSD or even those who want to avoid cursing and other situations. They rate romance, violence, cursing, and drug use. 2. Bad Bloods: November Snow! 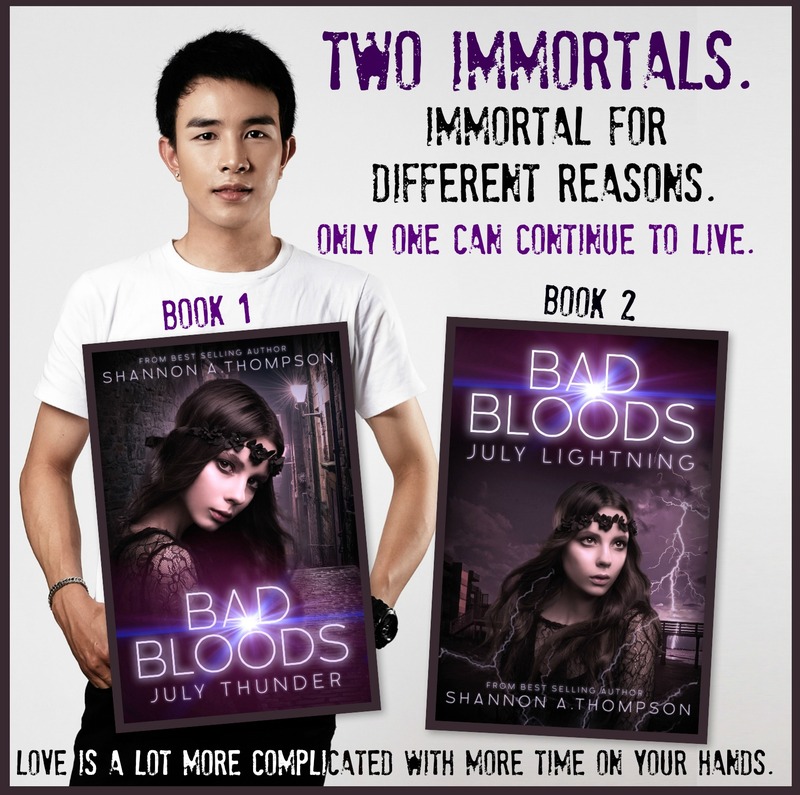 My second Bad Bloods book released this month, and that was super exciting! I’m amazed to see this book back out in the world after nearly a decade off the shelves. Never give up, guys. It can be a long wait, but it’s worth it. 3. Bad Bloods: November Rain! The first book in the Bad Bloods duology released this month as well, and I was so excited to see so many of YOU excited, too. Thank you for posting your reviews and ratings everywhere you can. I appreciate all the time you’ve taken to try out my work and also recommend it to those who might enjoy it, too. How To Get A Literary Agent: Many writers are searching, but many don’t know where to start. I ran a writer’s group this month, and since I covered this topic there, I brought the lesson to my own website. I outline where to start, how to begin, and when to research and pitch. There are dozens of websites and tools out there for you to use, so I hope you enjoy the info! How to Manage a Book Launch: Additionally, publishing can be scary, and no matter what route of publishing you went, you know you have to market…and you have to market a lot. This means you have a huge hand in your own book launch, so I outlined when to start marketing your book and some ideas to keep in mind as your book goes out to the public. #SATurdate: Independence Day Resurgence, The Last Star, & PokemonGO: My weekly update of what I’m watching, reading, and eating. Writing Tips for a Trilogy or Series: Everyone loves a good series, but how do you write one? 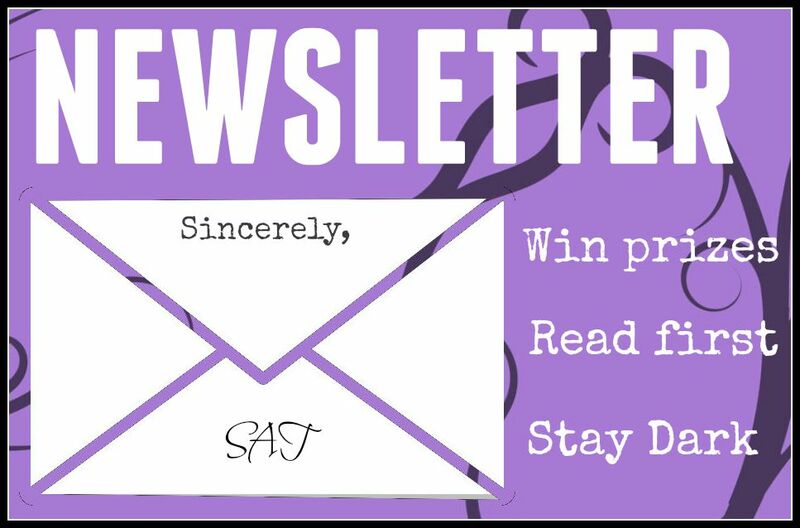 #SATurdate: Good Morning Call, Bad Bloods 3, Top Ten, & Serial: My weekly update of what I’m watching, reading, and eating. Publishing A Political YA Book During An Election: My Bad Bloods books revolve around an election, and boy, is it surreal. #SATurdate: Salt to the Sea, Death Note, The Turncoat’s Gambit, & Tallulah: My weekly update of what I’m watching, reading, and eating. #SATurdate: Book Release, Stranger Things, A Thousand Pieces of You, & Swiss Army Man: My weekly update of what I’m watching, reading, and eating. Teen Book Lit 101: Oh, the feels!!! I absolutely loved it!!! Black Words, White Pages: I bawled like a baby at the end of this book. I highly recommend this story to all to read and enjoy!! The Book Forums: Wow…I mean this as a compliment, November Snowripped out my heart, then stepped on it…Then laughed at my dead heart on the ground. End the end, Bad Bloods: November Snow is an amazing read that I recommend to everyone. Awarders: The Liebster Award by No Quarter Series.